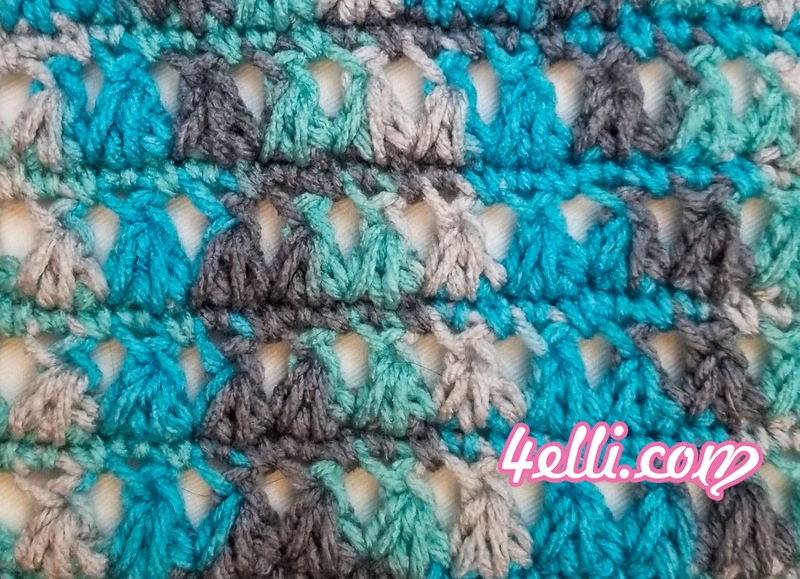 How to crochet the 3together cluster stitch!!! this pattern is worked over a multiple number of 2 stitches plus 1. Row 2: chain 4, turn, yarn over and insert the hook into the 2nd stitch, yarn over and pull through a loop, yarn over and insert the hook into the next stitch, yarn over and pull through a loop, yarn over and insert he hook into the next stitch, yarn over and pull through a loop, yarn over and pull through all loops except the last one, yarn over and pull through all loops, chain 1. 1 3together cluster made. *yarn over and insert the hook into the same stitch cluster's last stitch), yarn over and pull through a loop, yarn over and insert the hook into the next stitch, yarn over and pull through a loop, yarn over and insert he hook into the next stitch, yarn over and pull through a loop, yarn over and pull through all loops except the last one, yarn over and pull through all loops, chain 1* repeat from * to * across. Finish the row with 1dc into the last sritch. Row 3: chain 1, turn, 1sc into the 1st sitch, *1sc into the next chain-space, 1sc on top of next claster* repeat from * to * across. to finish the row 1sc into the last chain-space, 1sc on top of turning chain. please watch my free video tutorial witch shows you how to make this beautiful stitch step by step! !